After choosing not to perform or attend the 2019 Grammys after clashing with producers over her song selections, the "Thank U, Next" singer was still watching the big event on Sunday night and was tweeting her thoughts. 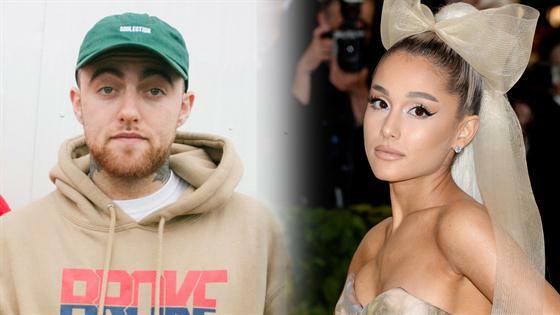 And when her ex-boyfriend Mac Miller, who tragically passed away from a drug overdose in September 2018, lost his category, Best Rap Album, to Cardi B, Grande took to the social media platform to make her thoughts on his posthumous loss known. Right after Cardi B was announced as the winner for her album No Privacy, Grande tweeted (and then quickly deleted) a few reaction tweets, allegedly writing, "trash" in one, "f--k" in another and then "literal bulls--t" in a third. She also deleted a response to a fan, saying, "THEY INVITED HIS PARENTS OUT. NO." Then Grande responded to a fan who tweeted they didn't think the "7 Rings" singer was shading Cardi with her reactionary tweets. And when another fan called Cardi "trash," Grande defended the "Money" rapper. "she's not at all and that's not what i meant and u know that," she responded. In her since-deleted tweet, Grande was referring to Miller's family being invited to attend the Grammys on his behalf, with his mother Karen Meyers, attended the ceremony with Cazzie David by her side. David is the ex-girlfriend of Pete Davidson, Grande's ex-fiance, and her surprising friendship with Meyers made headlines when it was revealed in November 2018. "It's still a relatively new friendship, and primarily limited to social media, but Cazzie and Karen think very highly of each other," a source previously told E! News. "Cazzie reached out to Karen with her condolences after Mac died and since then she and Karen have been exchanging messages." Grande, who won her first Grammy for Best Pop Vocal Album for Sweetener after choosing to boycott the ceremony, has previously posted and then deleted a tribute to Miller, who was 26 at the time of his death, in December 2018.